The Skinny Doll: Easter challenge - weigh-in 4! 9 stone and half a pound!!! That is not a typo.... I repeat.. NOT A TYPO! and a very important half pound! How awesome are you lot!? Only 3 weigh-ins left so heads down and give it socks... just think, 2 weeks to your easter eggs and you'll have earned every single bite! Log your losses below... If I missed you just let me know either here or if you can't comment the post will be on the Facebook page >>> HERE <<< ... well done everyone... most successful challenge so far! 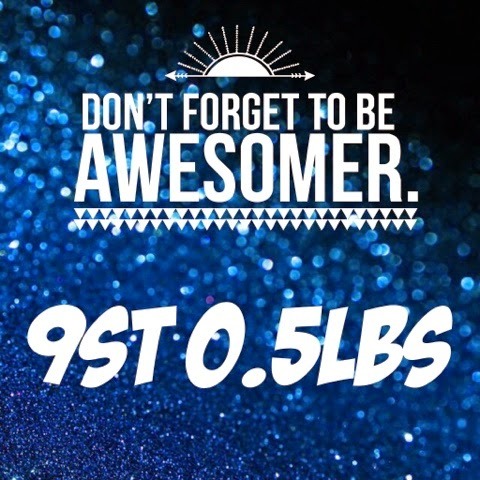 Meant to fwd on my weigh ins for last few wks. 2/3 - sts; 9/3 - sts; 16/3 - -3lbs. Down half a lb thia week. Happy out as had 2 occasions. STS this week. I blame the OH as he was away, so was bored and ate! I also have blisters so no runnin, but back on it this week. Loss of 1lb this week. Down 3lbs this week Doll. Trying my damndest not to let it get back on me after Paddy's!! +0.5 this week :( suppose that's what a night away and not even remotely tracking does!! Will u add my gains 😢 week 3 up 0.5. Week 4 up 2lbs!